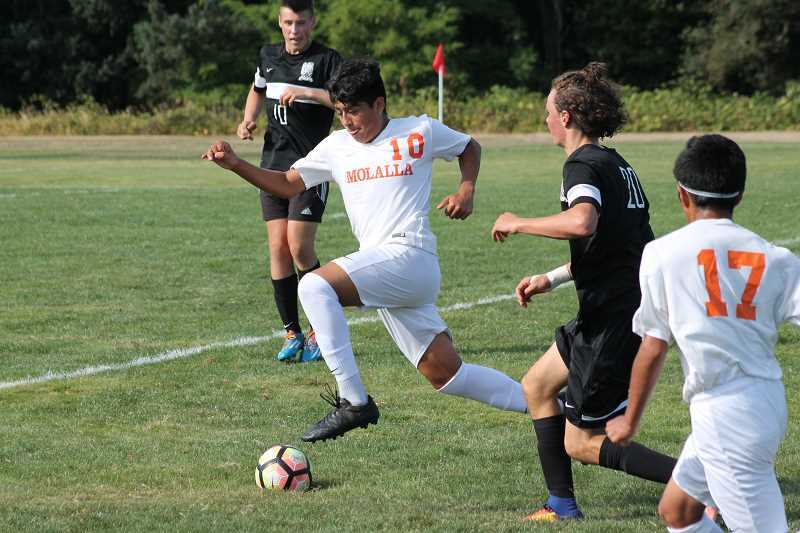 The Molalla boys' soccer team wasted no time getting down to business against Sisters in their season opener Wednesday as junior Miguel Maldonado scored in the first 15 seconds of play on an assist from senior Gavin Barrett, setting the pace that the Indians would keep for the rest of the match. 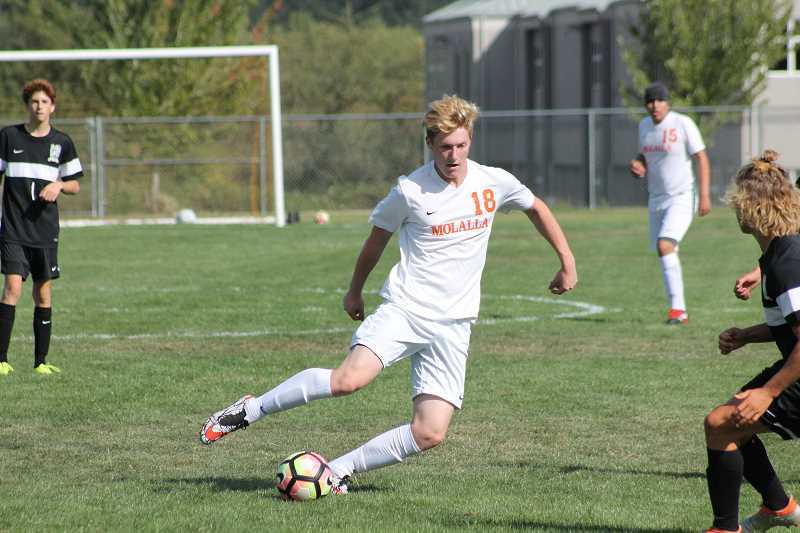 Molalla held possession of the ball for the majority of the game, as Sisters didn't get a shot on the Molalla goal, guarded by senior Patrick Ehleringer, until the 57th minute of play, and by that point, the Indians were already up 6-0. 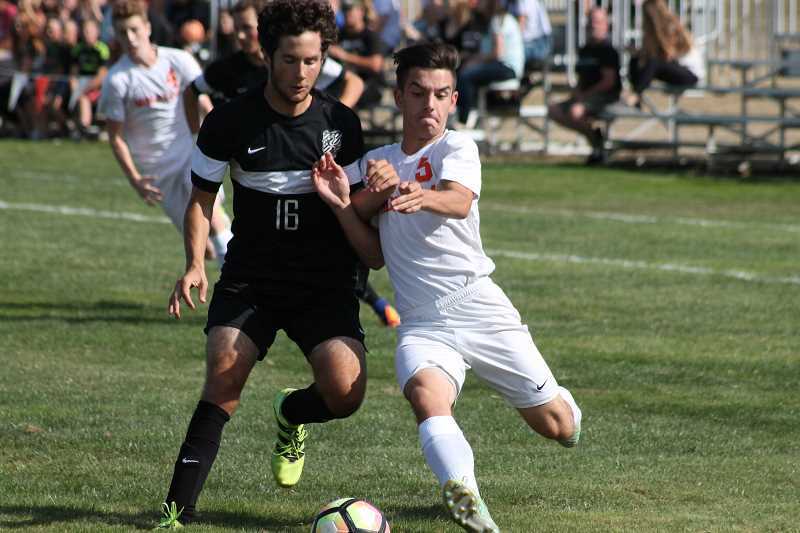 "We found out last night that our starting center back was going to be out today, so it was pretty much a gametime adjustment, and we were fortunate enough to get our Swedish foreign exchange student (senior Teo Sjoestrand), he just went out and played a heck of a game," Barrett said after the game. "He fit the role well, and overall I think it was the way our defense connected, we handled the ball well, got the ball to our midfielders as fast as possible." 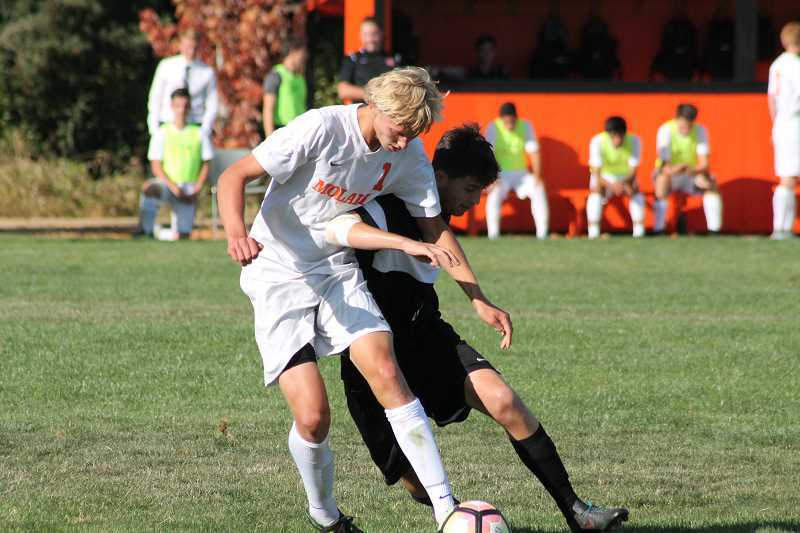 Sophomore Parker Coulombe had taken over for Ehleringer in the 50th minute as Molalla's defense kept the ball away from the goal for most of the game, but Sisters managed a goal in the 67th minute to keep them from being shut out. After Maldonado's initial goal, Barrett sent one in in the 15th minute, followed by another goal from Maldonado in the 31st minute on a botched penalty kick that saw the Sisters goalkeeper, junior Samson Henneous, let the ball slip out of his hands and into the goal. Molalla went into the half up 3-0. 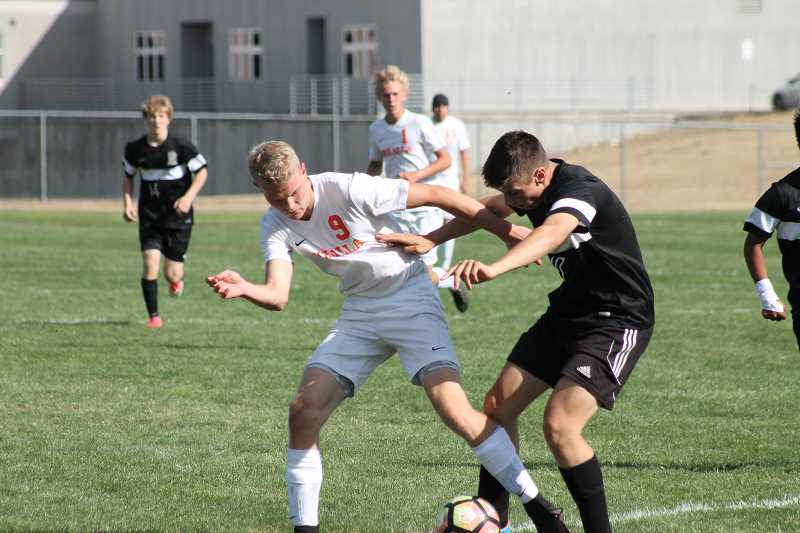 The Indians' offense is one that is powered by momentum, and Barrett showed just that as he sent in a goal in the first minute of the second half to put them up 4-0. "That's huge on momentum; if you can get those goals right off the bat, it gets in the opponents' head, gets you taking the shots early," Barrett said. "We've had a few games in the past few years that were like that, and it's good to have those early goals to get things going. After Barrett's goal, senior Eli Rome and junior Tanner Nauta scored back-to-back goals in the 49th and 50th minutes, respectively, to put the Indians' final goal count for the night at six. The Indians have three more preseason games to get things in line before league play starts at Madras on Sept. 19 for a much-anticipated rematch, and Barrett noted a few things he hopes the team is able to fine-tune before then. "I would say that our midfield is a little disconnected, we're working on that, I think it comes with time and practice and I'm sure it will shape up before league," Barrett said. "But I think the flow between our defense and offense was very smooth, it's just going to come down to keeping everyone connected, and communication is going to be big." Barrett also said confirmed that senior Cole Bauge is out with an ACL tear, and senior Logan Child has stepped up to play that role as a midfielder more. The Indians' next match is at North Marion on Sept. 5 at 4 p.m.